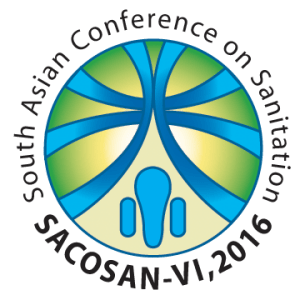 I recently attended the 6th South Asian Conference on Sanitation (SACOSAN VI), held in Dhaka, Bangladesh. Given the clear ties between sanitation and hygiene, I was asked to provide commentary on the prevalence and discussion around hygiene at SACOSAN. A commentary on hygiene, however, first begs the question, “What is hygiene?”, as it means many things to many people. To some, hygiene pertains exclusively to handwashing with soap. To others, it includes food hygiene and treatment and safe storage of household water. To others, still, it means any “software” or promotional aspect of within water, sanitation, and hygiene (WASH) generally, such as behavior change. It is fair to generalize that hygiene was comprehensively defined at SACOSAN including the “software” side of WASH, specifically regarding sanitation, handwashing, and menstrual hygiene management. A major theme throughout the conference was a renewed call for representation and inclusion through the human right to sanitation. This was true in terms of hygiene, too. Representation and inclusion were perhaps best represented in a session that highlighted a new publication and spotlighted issues facing women, adolescent girls, the elderly, persons with disabilities, and those in the sanitation workforce. Leave No One Behind, a stunning new publication of Freshwater Action Network South Asia and the Water Supply and Sanitation Collaborative Council, seeks to give voice to those too often neglected and excluded from both political processes and access to sanitation and hygiene services. The objective of the publication and the initiative is to assure inclusion and representation, considered essential to achieving the newly agreed upon Sustainable Development Goals. The session corresponding with the Leave No One Behind report illuminated the tremendous obstacles and humiliation suffered by these individuals and the corresponding consequences—including indignities, poorer health, and safety concerns. Yet, despite the many conversations about access, what was most poignant to me was the overall inaccessibility of the conference center despite efforts to find a more accessible venue. Clearly, in many contexts, access needs to be better ensured and not merely discussed. While the focus of this session was to highlight the “voices” of those featured in the report, there was a striking absence of positive examples and best practices that have been refined over the past decade and do provide access to many who might otherwise be left behind. Showcasing ways that access can be achieved—for instance, displays of simple latrine and handwashing station modifications to allow access to the differently abled, the elderly, the deaf, blind, and mute—or outlining inclusion strategies and approaches gaining prominence could have prompted session participants to not merely discuss the need for inclusion but also inspired action. 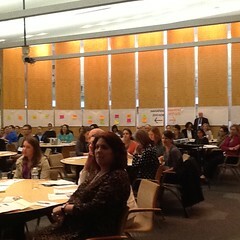 While I wish that the accessibility issues faced by participants had been addressed, there were many highlights of the conference. It was heartening to see participants spontaneously organize a special side session on menstrual hygiene management (MHM), as it was not prominently included in the program. Facilitated by WaterAid and featuring a wide range of panelists including government officials, global leaders, and community representatives, this lively session filled a gap and helped to prioritize menstrual hygiene management in the SACOSAN declaration and commitments. The meeting’s hygiene promotion session was coordinated by the Afghani Delegation. 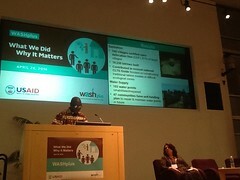 The four technical papers that comprised this session—including one co-authored by USAID/WASHplus—comprehensively defined hygiene promotion. 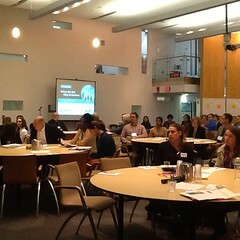 As a result, there was a large focus on sanitation best practice and innovation, such as improving sanitation and hygiene (mostly handwashing) practices in geographically-challenged areas, fostering strategies to improve sanitation coverage and developing approaches to improving sanitation practice (i.e., latrine use) and consistent and correct handwashing with soap. A forth session focused on MHM, and boldly shared the failures attributed to not thoroughly consulting with school girls and administration, as well as successes. Hygiene was also prominent in a plenary session chaired by BBC Media Action (formerly BBC World Service Trust). Via a provocative video presentation, behavior change specialist Dr. Val Curtis with the London School of Hygiene and Tropical Medicine, highlighted three elements—surprise, revaluation, and performance—as fundamental and effective at improving WASH. This video was followed by prominent national journalists who discussed how to get the public to engage in topics considered unpleasant and often taboo by capturing audience attention and greater media visibility. The linkages between sanitation and hygiene are clear, and it is encouraging that hygiene was featured prominently in the meeting’s Declaration and Commitments where every mention of sanitation included “… and hygiene”. I am hopeful that the calls for representation and inclusion of the vulnerable and underserved that were made during SACOSAN will lead to a truly enabling environment, and that we will learn from our oversights and collaborate going forward to improve access to sanitation and hygiene for all.